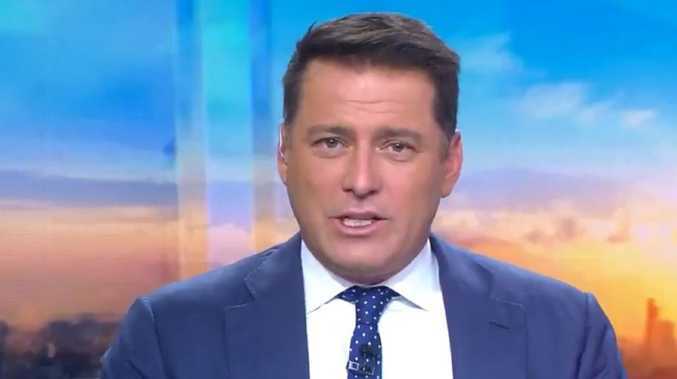 KARL Stefanovic appeared to poke fun at the intense media speculation that he's about to be fired from the Today show. During a fiery segment on the Channel 9 breakfast show this morning, sports presenter Tim Gilbert took aim at Fairfax for a report about NRL stars, the Burgess brothers. "So much rubbish gets written and said in all forms of the media," Gilbert said as he slammed the article. "It's phenomenal the crap that gets said sometimes." "We know all about it," responded Georgie Gardner. "I thought you were referring to us." "All that crap as well," Gilbert said in reference to reports Stefanovic is going to be fired. "There's so much garbage that gets written about this desk. They make it up!" Stefanovic told Gilbert, "I think you've just got to ignore it", before he snorted and burst into laughter and said, "It's upsetting to have stuff written about you, isn't it?" Speculation has been rife since the weekend that Channel 9 bosses are preparing to let Stefanovic go after two years of unending negative publicity and a horror slump in the breakfast show's ratings. A damning report in The Sunday Telegraph quoted senior sources at the network saying that Stefanovic will be told this week that he won't return to Today in the new year. Nine's chief executive Hugh Marks denied that Stefanovic will be removed from the show but did issue a public challenge to the star, describing 2018 as a "tough and challenging year for Karl and Today," and demanded the breakfast show lift its game.